Sean “Puff Daddy” Combs gave his Bad Boy artist French Montana a $1 million check as a holiday gift. “Shoutout @iamdiddy for that million dollar gift bonus #happyholidays,” French Montana says in an Instagram post. 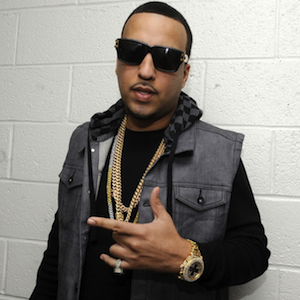 French Montana was also credited with giving shoes to New York students. “Huge thanks to @FrenchMontana for donating 100 pairs of Reebok’s to out Bronx students @Iwillgraduate program,” French Montana reposted on social media. Montana grew up in the Bronx after his family relocated from Casablanca, Morocco. His sophomore album, Mac & Cheese, was rumored to release in 2015 but has been delayed. Born Karim Kharbouch, French Montana signed with Bad Boy Records in 2012.